Complete and Partial Dentures are Available in Dr. Kowalik's Burbank Office! For patients with missing teeth, full or partial dentures may be an option for restoring your smile. In his Burbank office, Dr. Michael Kowalik creates dentures in-house with optimal results. If you are missing multiple or all of your teeth, then a full or partial denture may be right for you. Dentures are a restorative dental appliance used to replace missing teeth. The appliance is removable and is designed to help strengthen jaw bone structure and its surrounding tissues. Partial dentures come in a variety of forms, with different adhesives and means of support. Generally speaking, a partial denture replaces several missing teeth in a single arch. Partials help keep natural teeth from shifting into open gaps by filling in the open spaces, and also improve chewing ability. Complete dentures are worn by patients missing all of their teeth on either (or both) of their dental arches. Complete dentures work to restore facial skeletal structure, which can make eating and speaking easier. Dentures are capable of lasting a lifetime, but may require a few repairs or adjustments over the years due to normal wear. The best way to determine what type of denture is right for you is to contact Dr. Kowalik and schedule a consultation. What Happens When I Get Dentures? Patients usually opt for dentures if they are missing several or all of their teeth. If a patient is receiving a complete denture, Dr. Kowalik will remove any remaining natural teeth and then allow the gum tissue to heal for up to four or six weeks. During this time, the patient will wear an immediate denture, which is temporary and also allows the patient to have functioning teeth during the healing process. Once the gum tissue has healed, a conventional denture will be placed and adjusted for proper fit on the gum line. Dr. Kowalik designs and places dentures in his Burbank office in order to create the highest quality appliance for your needs. Receiving dentures involves several dental appointments that include taking highly accurate impressions, and – after the denture has been created – any necessary adjustments to ensure the highest degree of satisfaction and comfort. Dentures are made to match your natural tooth color and shape, but if there are any issues, Dr. Kowalik provides as many appointments as necessary until you feel completely happy with your new set of dentures. 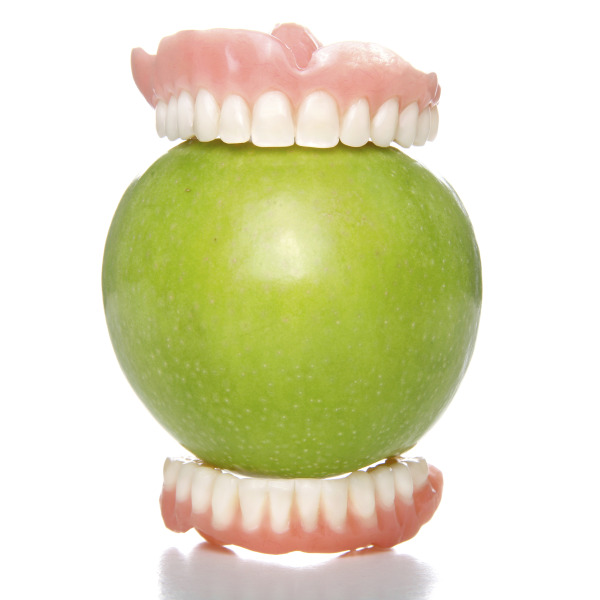 Dentures can enhance chewing and speaking ability, as well as your overall appearance. Dentures can also help restore the supporting jaw bone that can sometimes be lost when teeth go missing. To find out whether you are qualified for dentures, call our Burbank office and schedule a consultation today.